Welcome to my range of chutneys and relishes. 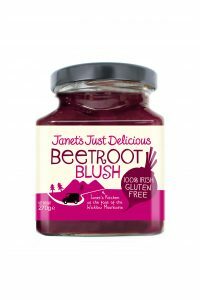 No meal is complete without a spoonful of Janet’s Just Delicious chutneys. Pure taste and additive free goodness. This relish is ‘irresistible’! Whatever your taste with whatever food at any time of the day…..or night. Just spoon it on and enjoy! 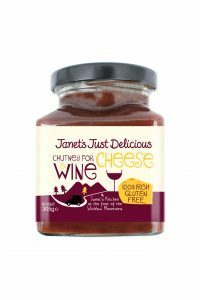 With the humble cheese on toast or with ‘posh nosh’, it is the perfect accompaniment. This is the most versatile condiment in your kitchen! 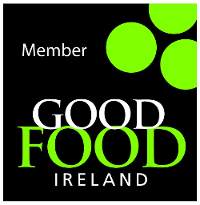 On toasted chiabatta with melted goat’s or cream cheese; with bacon or black pudding for weekend brunch; with steak and sautee or mashed potatoes; in wraps or sandwiches. 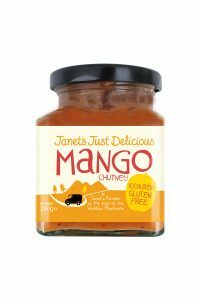 Juicy mango and tangy pineapple with a hint of chilli, your taste buds will be tingling as you open this jar! Serve with fish and Asian style foods and, of course, with curry dishes. 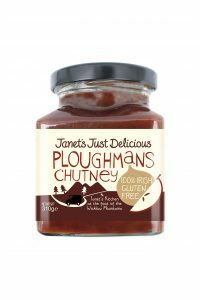 Like a good Bordeaux wine, this chutney has body, bouquet and spicy overtones. As with red wine, serve with meat dishes, a feisty Indonesian or a good Irish cheese board. The ultimate everyday chutney. Packed full of vegetables and subtle spices, it has a simple yet fulfilling flavour. Great with cheese & crackers, a toasted cheese sambo, BBQ food or vegetarian dishes. 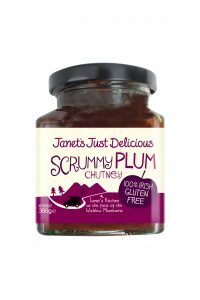 Rich, dark and packed full of juicy plums, the mellow flavour of scrummy plum makes it great with grilled meats, barbeque foods, casseroles, curries and stir frys. Best served with the humble ‘sambo’ or cheese n’ toast.